DIEGO LOYZAGA has an entire future ahead of him so it’s so sad that he tried ending his life when other people who have much less than him in life continue to try and fight to survive. One of the reasons people do this is when they seek the attention of the people they love, like their parents. We all know Diego is a love child and a couple of years ago, he vented on social media his bitterness over his dad, Cesar Montano. They patched things up eventually, but it seems Diego continues to look for the affection and attention of his dad, who lost another son from his first marriage, Angelo, also to suicide. Whether he likes it or not, this speaks about the kind of parenting (or the lack of it) that Cesar gives to his kids. Diego is now taken to a private place to make sure he won’t be disturbed by those unscrupulous quarters who want to pry and interview him. Everyone in his family, including mom Teresa and aunt Bing and other relatives, are now all silent about what happened and are just asking for privacy. The fact that Diego just had a minor injury after slashing his wrist is an indication that he doesn’t really want to end it all. This is just a plea for help. So let’s respect them and give them the privacy they ask for. Let’s also stop all useless speculations, like saying that Diego did it because he is depressed and cannot get over his breakup with Sofia Andres, and that all the bashing he got for his conflict with a Grab driver and with the photos he posted when he was in Boracay, no doubt affected him adversely. Wonder what they will do to Diego’s character in the current soap that he’s doing now that he’s indisposed. Meantime, another actor who has tried ending it all is now back on his feet after undergoing rehab in Cebu. Baron Geisler has become more active in his spiritual life and has even put up his own business, Gents Barber Shop, in Gaisano Mall, Cebu. Now that he’s a Christian, Baron has also become an inspirational speaker to help encourage young people not to go astray. He just had a talk to students of Digos City National High School and is very active in conducting Suicide Prevention Symposia. 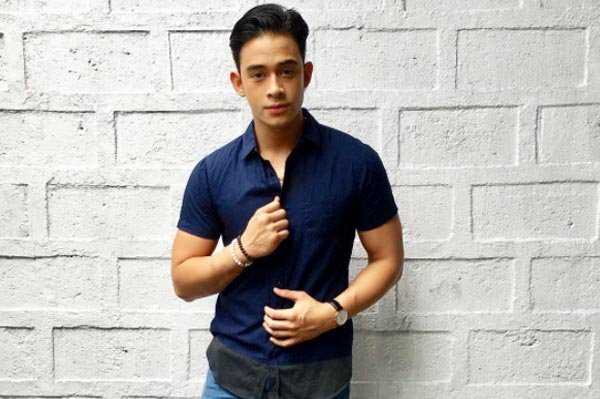 Maybe he should have a talk with Diego Loyzaga to share his own personal experiences on this matter with him.